It is Ramon’s passion for education that has materialized into a business with verifiable success. After retiring from the United States Marine Corps, Ramon taught at Brooke Point High School. During his tenure as a teacher, he recognized the absence of quality career and technical training available and was inspired to establish Serrato Corporation. It is his firm belief that everyone is capable of learning and he has made it his mission to facilitate the learning process by providing management services to government agencies and academic institutions alike. Much of Ramon Serrato’s 20 year Marine Corps career was spent in vocational training and educational activities. His hard work and dedication to instruction were recognized by the USMC with nominations for instructor of the quarter and of the year. Ramon later became the Education Service Officer (ESO) at Marine Corps Logistics Base. In this capacity, he opened the first, fully functional Base Education and Training Center providing educational counseling, tuition assistance, and testing services to military personnel and their families. His extensive experience in military training and as an ESO gained his first contracting opportunity with the United States Marine Corps’ Lifelong Learning program where he managed educational counselors, testing, tuition, and drug and alcohol personnel at several different locations. Since that first contract was awarded, Ramon has led Serrato Corporation through several ventures to include the provision of services at numerous Job Corps centers and several military installations. His vision and leadership allow Serrato to continue to expand and refine our areas of expertise. Ramon Serrato holds a Baccalaureate Degree from Campbell University, is pursuing Masters in Educational Leadership, and is a Master Trainer for the National Center for Construction Education and Research (NCCER). Ms. Cheryll Yowell currently monitors all components of the Job Corps Career Development Services System (CDSS) at the Cleveland Job Corps Center and the Charleston Job Corps Center to ensure both centers are being maintained and operated effectively and students are receiving quality services, residential, counseling, training and education, and job placement as prescribed under the approved CDSS plan, center/corporate policies and the Personnel Requirements Handbook (PRH). She also analyzes statistical data and management reports pertaining to collaboration between center and Outreach and Admissions contractors to promptly identify performance trends and problems with new student arrivals, recommending corrective action plans, and providing technical assistance to ensure that corrective actions are implemented timely and effectively. Ms. Yowell served as the Director of Education at the North Texas Job Corps, overseeing all of the academics and career technical programs. 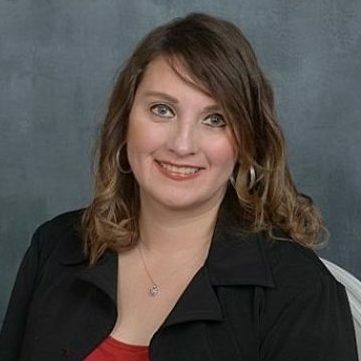 She also served as the Career Technical Education Director for the school District in Granbury, TX. In this capacity, Ms. Yowell oversaw the planning, development, implementation, and evaluation of all information technology (IT) services. She also served as coordinator for the writing of technology curriculum and developed and evaluation process for IT programs and implemented changes and updates based on her findings. Ms. Yowell has a M.S. degree in Educational Administration from Texas A&M. Terry began his accounting career during his nine year tenure with the United States Marines. After receiving an Honorable Discharge, he received his Bachelors of Science Degree in Accounting from the University of Arizona and an MBA from the University of Phoenix. He is an innovative and driven accounting professional with over 35 years with a myriad of businesses. His strong interpersonal skills and successful endeavors to learn new methods of accounting have accommodated his professional requirements in manufacturing, engineering, restaurant, facilities maintenance and government fund accounting. Terry’s philosophy has been to lead by example, and has no problem, rolling up his sleeves to get the job done. He has an innate ability to communicate and bridge the gap between what has been done and what others say can’t be accomplished that makes him stand out above the rest when it comes to his leadership and abilities. Terry also has an extensive management background in Human Resources, Auditing, and Budget/Bid Proposals. 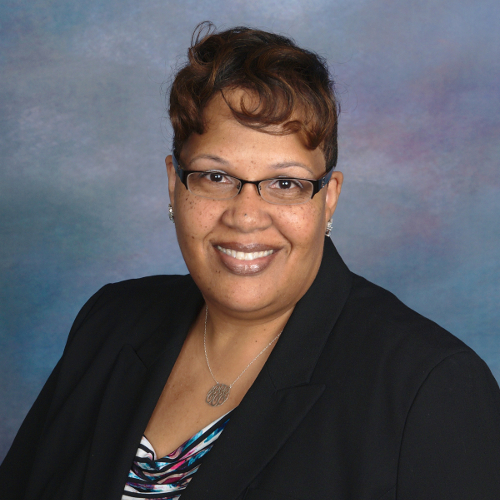 With more than twenty years of experience in Job Corps, Ms. Evans has served in various leadership capacities. 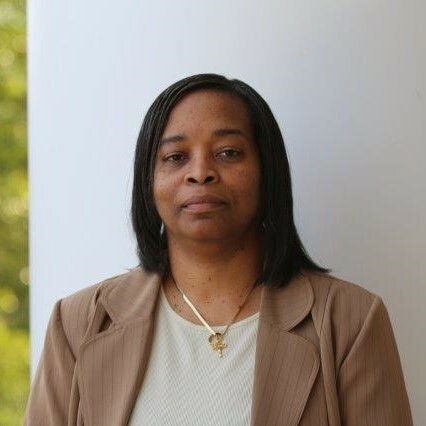 Ms. Evans started her career with Job Corps as an On-call Residential Advisor while working as a school Social Worker with foster youth and as a manager at a healthcare facility. Through her work as a Residential Advisor, she became passionate about the mission of Job Corps, along with the impact the program had on young adults, and decided to explore her options as a permanent staff. Once she was hired as a full time employee, Ms. Evans served in the roles of Counseling Supervisor, Director of Social Development and as a Center Director for over six years. During her tenure with Job Corps, Ms. Evans has learned that in order to operate a successful center, you must create innovative evening programs to change students’ old behaviors into a new mindset while giving them new tools for success. Ms. Evans has a B.A. in Social Work from California State University, Chico. 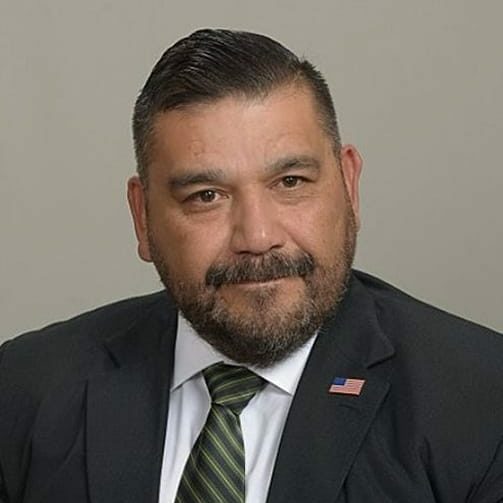 Mr. Serrato, a United States Marine, started his career with the United States Border Patrol (USBP) in 1985, now under Homeland Security, working in various leadership positions throughout his 28 years with the organization. Mr. Serrato was heavily involved as an instructor with both entities, requiring sharp oral communication skills and a keen insight to human behavior. Most recently, Mr. Serrato was the Patrol Agent in Charge (PAIC) of the Deming, New Mexico USBP station. He was accountable for more than 420 employees, an annual budget of thirty-four million dollars. Mr. Serrato directed all operations including strategic and tactical planning for approximately 93 miles of international boundaries with Mexico, which lead to Mr. Serrato receiving recognition for his subject matter expertise and innovation in homeland security. Mr. Serrato specializes in effectively developing, leading, and managing multiple and complex programs that included intelligence operations; criminal prosecutions; narcotics task force operations; K-9 units; horse patrols; public relations liaison and physical security programs along with border infrastructure projects. Mr. Serrato has completed Contracting Officer’s Technical Representative (COTR), Academy Instructor and National Environmental Policy Act (NEPA) training. As our Corporate Director of Finance, Mrs. Karla Somoza, brings with her extensive knowledge and over 10 years of experience in the field of Finance. Along with her history of working many years with a local Tucson non-profit Organization. Her previous work with Job Corps, as a Finance Supervisor, and in the medical industry, as an Accountant and Human Resources Officer, is invaluable. Mrs. Somoza attended the University of Phoenix where she earned her bachelor’s degree in Business Accounting in 2008. Mr. Albert Serrato is a facilities and transportation subject matter expert and served in the industry for 30 years. As a Facilities and Transportation Supervisor for one of the largest Behavioral Health agencies in Arizona, he was responsible for the day to day operations for 20+ Facilities and over 66 Fleet Vehicles. Mr. Serrato has been recognized by the Arizona Department of Transportation (ADOT) and the Commission on Accreditation of Rehabilitation Facilities (CARF) for his exemplary work. He also served four years as a Correctional Officer at the Florence Correctional Center (FCC). Mr. Serrato’s training and education includes: Basic Noncommissioned Officer Academy; Advanced Noncommissioned Officer Academy; First Sergeant’s Course; Retention Course; Combat Lifesaver Course; Leadership and Supervisory Development, Pima Community College (PCC); and Train the Trainer Passenger Transport Course, Arizona Department of Transportation (ADOT). Tina McDade has spent the last 29 years as a Job Corps employee. Tina retired after 25 years in Job Corps and has spent the last 4 years working in the Corporate position as the Data Integrity/Compliance Officer. During her tenure in Job Corps, she served in the capacity of Counselor, Counseling Manager, CTE Director, Deputy Center Director and Center Director. Tina obtained her Masters Degree in Behavioral Science from Southeastern Oklahoma State University prior to beginning her career in Job Corps. Ms. Serrato recently obtained her Associates in Business Accounting at Pima Community College in 2013. While attending Pima Community College, she was employed at four different jobs learning retail and healthcare industry business practices. Ms. Serrato now serves as an accounting clerk in support of Serrato Corporate Finance Director. Her main goal is to continue her education at University of Arizona in business management. Mrs. Houston began her career in the education system in 2004 as Special Education Assistant at Fayette County Board Of Education where she played a key role in assisting students with physical and mental disabilities. She also worked as a Substitute Instructional Assistant at Fayette County Board Of Education. Later she went on to become a Student Ambassador and Student Mentor for Kentucky State University where she was able to provide advice, support and serve as a role model for incoming freshmen. In addition, she mentored on behalf of the Kentucky Organization for Foster Youth (KOFFY) college students enrolled at Kentucky State University that were currently or formerly in foster care. 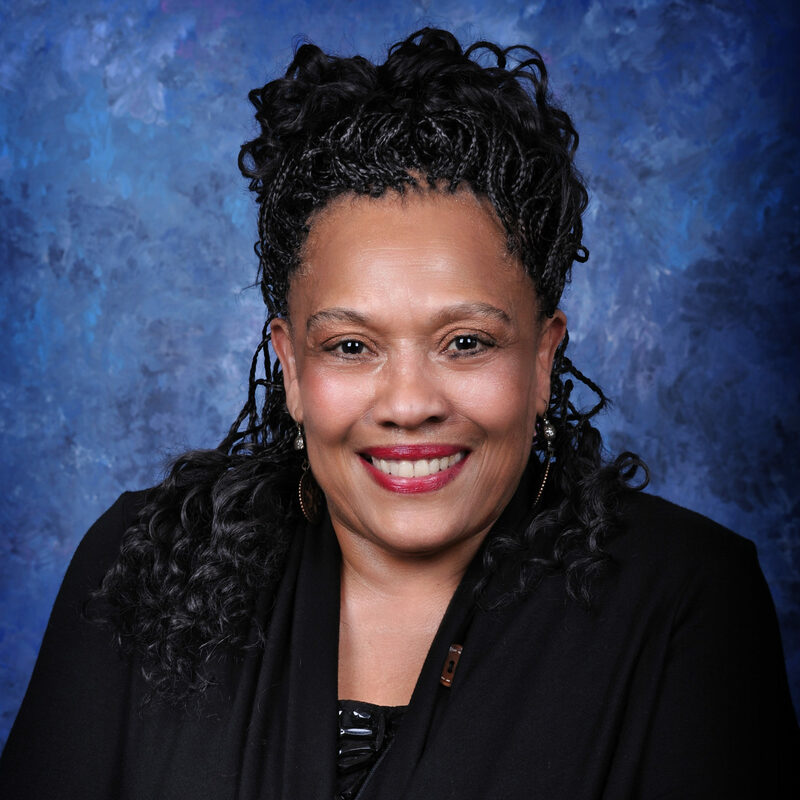 As her career in education progressed, she worked as Career Preparation Instructor/ Career Transition Coordinator at Whitney M. Young Job Corps, Outreach & Admission Counselor at Insights Training Group/Job Corps, and Substitute Teacher at Jefferson County Board Of Education. Ms. Forrest, an expert in customer service, is the Corporate Executive Assistant at Serrato Corporation. 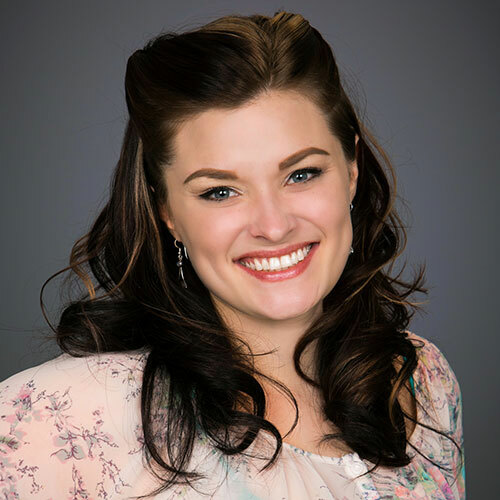 Prior to joining the Serrato team Ms. Forrest was a practicing surgical veterinary assistant, graduating from Pima Medical institute as a certified veterinary assistant in 2010. Ms. Forrest has extensive experience in customer service, event coordination/planning and various clerical work and uses her skills to provide support in various areas of the company. 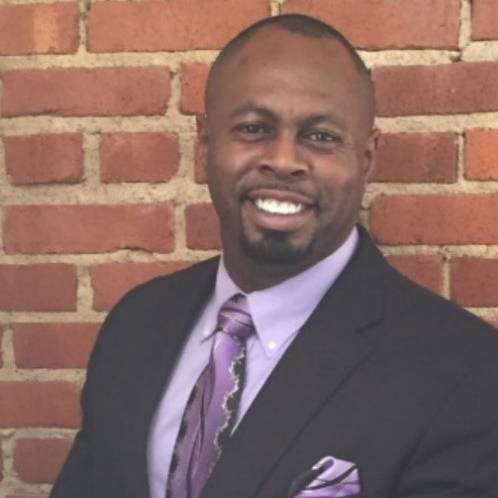 With over ten years of experience in various leadership positions with Job Corps, William Houston holds the demanding position of Center Director for the Cleveland Job Corps Center. Prior to his acceptance of this position, he served as Center Director, Career Development Services Systems Director, as well as manager of career development, residential living, and academics. It is Mr. Houston’s responsibility to plan and direct all center plans and activities and ensure that they meet Department of Labor Standards. His steadfast focus and attention to detail have led to improved performance ratings during his tenure as well as decreased losses. Mr. Houston has developed a successful partnership with government, civic, and community leaders in an effort to promote acceptance of the Job Corps program, thereby expanding opportunities for Job Corps students within the community. Mr. Houston earned his B.A. in Criminal Justice from Ohio State University. Ms. Williams is passionate about working with young people and assisting them to reach their full potential. Her ability to team build and create a positive learning culture for students and staff have led to her success as the Center Director at two previous centers (Dayton and Westover). She believes in supporting the community in which the center is located by leading her staff and students in community outreach, volunteering, and fundraising. She works side by side with the staff and students and firmly believes in leading by example. She will never ask her students or staff to do anything that she is not willing to do. Her experience has allowed her to gain knowledge in all areas of Job Corps operations and programs; her willingness to roll up her sleeves and get the job done has contributed to her Job Corps success. Her passion for students and staff enable her to continually encourage them to not settle but instead, look for ways to improve processes and procedures. She understands that the ripple effect of a leader’s enthusiasm and optimism is contagious and that she must bring this same enthusiasm and optimism to staff and students. She brings a wealth of knowledge, understanding, and passion for the program with over 20 years of Job Corps experience. Ms. Williams believes in the mission of the Job Corps program and is led by her faith in giving back and helping people in any way possible to be better. Ms. Williams holds a Bachelor of Science Degree in Business and a Master of Science Degree in Physical Education from Eastern Illinois University where she attended on a basketball scholarship. Johnny Taylor started his Job Corps career over twenty-one years ago. He has amassed experience in social development, training and administration. What started as a job quickly became his passion. Johnny’s philosophy permeates the center and includes every student and staff member. He firmly believes the Flint Hills Job Corps Center is a family. A family of UNITY. No matter what you have been through or are going through, you are NOT alone. Mr. Taylor challenges everyone, every day to be better and do better. Mr. Taylor holds a Bachelor of Arts in Health, Physical Education and Recreation from Kansas Wesleyan University where he attended on a football scholarship. Diane McConnell has over 24 years of Job Corps experience. She spent several these years working in the social development and training and education areas prior to accepting the position of Center Director at the Cincinnati Job Corps Center. Diane is very passionate about the program and encourage students success from the minute they arrive on center. She absolutely loves what she does and believes in making every day an enjoyable one. This philosophy is embraced by the entire Panther family and can be seen throughout the center. “Changing Lives One Panther at a Time” is more than just Cincinnati’s motto, it is their way of life. 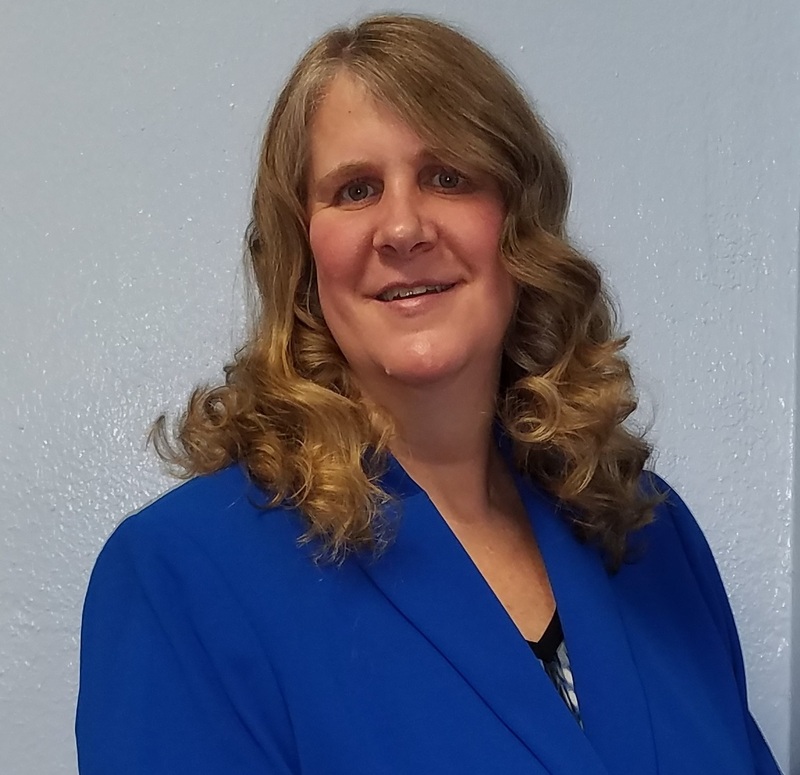 Diane obtained a Bachelor of Arts in Psychology from Ohio Northern University and a Master of Science in Education and Allied Professions in Community Counseling from the University of Dayton. She is licensed by the State of Ohio Counselor, Social Worker, and Marriage and Family Therapist Board as a Professional Counselor. Additionally, Diane is an active member of both the American Counseling Association and the Ohio Counseling Association. Anthony Bolden started his career in Job Corps at the Dayton Job Corps Center in 1997. He immediately knew Job Corps was his purpose. Within the first four years, he quickly moved up and around in various departments. He learned more and more about the program and how to serve students in a variety of capacities. He accepted a position at the Atterbury Job Corps Center, in Indiana, where he served students for four years as the Career Technical Training Manager and Residential Manager. 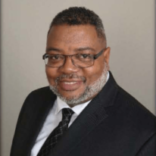 His next move took him to Louisville, Kentucky, where he served students in the areas of Social Development, Career Technical Training, and the Director of Career Development Services. With these experiences, he began working for the Serrato Corporation in 2012 at the Charleston Job Corps Center. He then moved to the Cleveland Job Corps Center where he worked as the Deputy Center Director. Along his journey, he received an Associate’s Degree from Mid-Continent University in Paducah, Kentucky. He then acquired his Bachelor’s Degree from South University in Cleveland, Ohio. Being well traveled with a multitude of experiences in Job Corps, Mr. Bolden is the ideal Center Director for the New Haven Job Corps Center. He believes that every student should receive the best possible services that Job Corps can provide. He is totally dedicated to making sure he and his staff deliver such services. Joe (Mike) Salazar was born in Corpus Christi. Mike attended Mary Carroll High School and went on to attended the University of Texas and earning his first Degree in Deaf Education. During college he worked for Fluor Construction as an apprentice electrician, and helped build the Champlain Oil Refinery in Corpus Christi, Texas. After college Mike Salazar traveled to Guatemala where he worked at the National School for the Deaf for the next three years. He had the opportunity to travel throughout Central America working with both deaf adults and children. He helped publish a book on sign language for the area, helped set up a training center for the deaf and employers of the deaf, and helped establish closed caption television for the deaf. 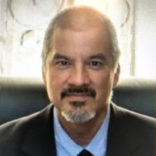 In 1982 Mike Salazar returned to the United States and earned a Masters Degree in School Administration from the University of Houston. He worked as a public school teacher at Stevenson Elementary in Houston, Texas, assistant principal of Reagan High School in Houston, Texas, and as a principal of Helms Elementary, and Hogg Middle School. In conjunction with the University of St. Thomas in Houston, Texas, Mike Salazar helped win a lamplighter $250,000 grant from the Annenberg foundation for development of an innovative school system, a $500,000 beacon grant from the Annenberg foundation for innovative schools, and a $500,000 grant from Shell Oil for the development of one of the first dual language schools in Texas. He wrote one of the first charters in Texas and established Oak Cliff Academy, one of the first charter schools in the state of Texas. He served as a scout master for 15 years, treasurer and vice-president of the Houston Association of Hispanic School Administrator’s, and as a deacon in his church. Working with Duncan Ragsdale, an educational consultant, Mike Salazar, helped pass the legislation that allows the four job corps centers in the state of Texas to operate their own public high schools. He began working in the Job Corps in 2005 as the Academic Manager and principal of Florence Shapiro High School at the North Texas Job Corps and then as the Deputy Center Director for the Albuquerque Job Corps in 2010. In 2012 he served as Deputy Center Director for The Cleveland Job Corps Center. In 2014, Mike Salazar became the Principal of Africa International College (AIC) in Abuja Nigeria. AIC is a boarding school with grades JS1 (7th grade) through SS3 (12th). The school boards both male and female students and is a Christian School. During his tenure at AIC the schools has gone from 35% passing math and English and three other subjects on the WAEC to 85%.